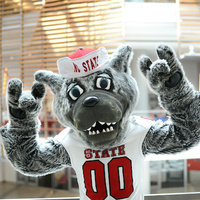 Join NC State for the 2019 spring commencement ceremonies at PNC Arena. Learn more about commencement speaker Ginni Rometty, CEO of IBM. Chancellor Randy Woodson will confer honorary degrees on Rometty and Craig Dykers, a founding partner of Snøhetta, an international design company. Visit the commencement website for logistical information and details about departmental ceremonies.